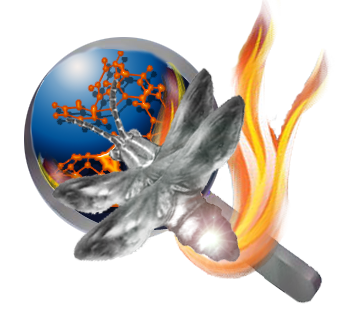 Firefly (previously known as the PC GAMESS) is a freely available ab initio and DFT computational chemistry program developed to offer high performance on Intel-compatible x86, AMD64, and EM64T processors. Firefly package is being developed by the Firefly Project Team. The project coordinator and leading developer is Dr. Alex A. Granovsky. A number of other researchers have made significant contributions to the project over last years, especially those of Dr. James W. Kress are to be mentioned. Firefly has a rather long history. The project was launched in 1994. Initially, it was named "the PC GAMESS" and was based on the GAMESS (US) source code of ISUQCG (versions of up to October 25, 1999), while extending its functionality in many important areas. However, since 1999, no part of the GAMESS (US) was incorporated into the PC GAMESS, as the development of the PC GAMESS (now Firefly) became completely independent of the GAMESS (US) development. Nevertheless, the high-level compatibility of input and output files between these two packages was enforced to as much extent as possible for different programs. However, until 2008, due to its historical roots, the package name was "the PC GAMESS", and it was distributed as the part of GAMESS (US) distribution from the ISUQCG web site. Since autumn 2008, the Firefly Project Team, as well as Firefly itself became completely disassociated from ISUQCG group and with GAMESS (US). Since December 4, 2009, the package name was finally changed to "Firefly". Initially, all time-critical sections of the legacy GAMESS (US) code were modified to achieve the maximum possible performance. Over time, almost all of legacy parts were rewritten from the scratch or completely replaced by the much more efficient code developed by the Firefly team. At moment, Firefly includes no more than 5% of the legacy code. Furthermore, very efficient assembler-level libraries, both self-made and those provided by vendors like Intel's MKL are used throughout. Most of the Firefly source code is compiled by the set of several high-quality Fortran and C compilers (in particular, Intel Compilers vv. 6.0-9.1), while very flexible but somewhat outdated Watcom Fortran 77 compiler v. 11.0 is used primary as a glue to compile the rest of the sources and to link all the different style object modules and libraries together to produce the working Firefly binaries. Firefly has been constantly being developed to incorporate new functionality, improve performance, and extend existing features. For example, Firefly uses real time data compression/decompression, efficient modern algorithms of 2-e integral evaluation for direct calculation methods, very efficient MP2 energy and energy gradient modules, very fast RHF MP3/MP4 energy code, and state-of-the-art DFT, TDDFT, MCSCF, MRMP2, MCQDPT, and XMCQDPT implementation. Firefly runs parallel on SMP systems, clusters of computers, or both; with special attention paid to good scalability even on large clusters and many-core systems. Firefly is freely available for all main PC operating systems: Windows, Linux, and Mac OS X. Firefly supports various Windows versions including Windows 10, Windows 8, Windows 7, Windows Server 2008, Vista, 2003, XP, 2000, NT, and 98/Me. There are also several different native Linux distributions of Firefly linked with various MPI implementations available for this OS. Finally, the specially configured Windows Firefly binaries run sequentially or in parallel under Mac OS X/Intel using the dedicated version of Wine yet without incurring any performance penalty. The most current officially released binaries are Firefly version 8.2.0. The latest Windows/Linux Firefly binaries are directly available from the Downloads section of the Firefly web server. Mac OS X/Intel distribution files can be found on our Firefly for MAC OS X page. As of Firefly version 8.0.0, there exist a single Firefly executable file specifically optimized and tuned for multiple types of modern and older Intel and AMD processors. Firefly can be used on any processor compatible with Intel Pentium 4 CPU (that is on any processor that supports Intel's SSE2 instruction set). This includes all modern CPUs as well as lots of older processors, such as Intel's Pentium 4, Pentium D, Intel Core 2 Duo/Quad, Intel Core i3/i5/i7 processors, and various Intel's Xeons; AMD's Athlon64, AMD Phenom/Phenom II, various AMD's Opterons and various modern Bulldozer core based AMD's processors and APUs. Firefly version 8.0 onwards does not support Intel Pentium III and older CPUs and 32-bit AMD Athlon XP and older CPUs. First, download the appropriate zip archive with binaries from the Downloads section of this server (Mac OS X users should use Firefly for MAC OS X page.). After decompressing zip archive, you will get several files, including the "readme.txt" file which contains further instructions. In brief, you must read and agree with the terms of the Firefly License Agreement and send us some basic information on you and your computer system. Upon successful registration, you will get the key which can be used to extract Firefly binaries from the rar archive, which is the part of Firefly binary distribution package. Finally, familiarize yourself with Firefly's documentation, which is included into Firefly distribution. Various documents explaining features and keywords unique to Firefly can also be found in the Firefly manuals documents on this server. Read the Firefly/PC GAMESS FAQ on installation and usage-related topics. If you prefer a graphical front end, check out Luceat and RUNpcg by Prof. Ernst Schumacher, FiCo (Firefly Commander) batch job processor for Firefly and PC GAMESS/Firefly by Dr. Pasquale Morvillo (available for direct download from the Downloads section), Facio by Dr. Masahiko Suenaga, and ChemCraft by Dr. Grigoriy Zhurko. Firefly QC package , which is partially based on the GAMESS (US)  source code. You are the th person, who visited this page since May 20, 1997.